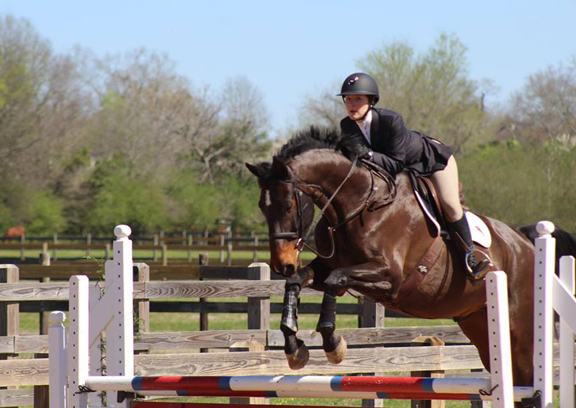 Three Ole Miss Equestrians, members of the Intercollegiate Horse Show Association (IHSA), headed to the Region 2 Championship show, and one qualified for the Zone 5 Championship show. Colleen Stimola, Shannon Hourin, and Emory Barnes all qualified to compete at the Zone 5 Region 2 show. 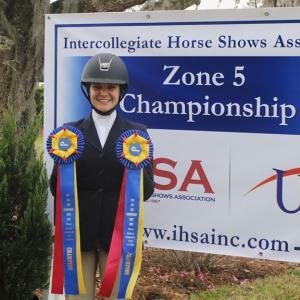 The last show of the regular IHSA season for Ole Miss Equestrians was Saturday March 3, 2018 at Tuscaloosa, Alabama. 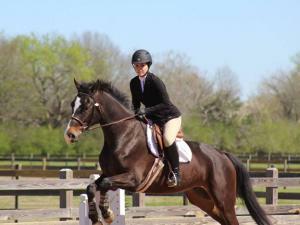 At that show, three riders from Ole Miss qualified to compete at the Region 2 Championships. Region 2 Championships were held the next day, on a beautiful Sunday, March 4, 2018 at River Oaks Farm, home of the University of Alabama Equestrian team at Tuscaloosa, Alabama. The Ole Miss Rebels took home 4th place, out of 15 teams, for the 2017-18 season. The Ole Miss Western team placed 6th for the season. Sophomore Emory Barnes was Regional Reserve Champion in the Intermediate Over Fences division, and Regional Champion in Intermediate Flat division, qualifying her for Zone 5 Champions at the Savannah College of Art and Design (SCAD). Congratulations were in order for Emory, Colleen and Shannon, and to the entire team led by Coach Beanie Cone! Emory Barnes made the trek, with coach Beanie Cone, to the Savannah College of Art and Design in Savannah, Georgia for the Zone 5 Finals show on April 7, 2018. Emory is on her way to IHSA Nationals! She was Champion in both Intermediate Over Fences and Flat classes at Zone 5 Finals. Find out more about the Ole Miss Equestrian Team at their website: https://www.olemissequestrian.com/ and on facebook at Ole Miss Equestrian Club.